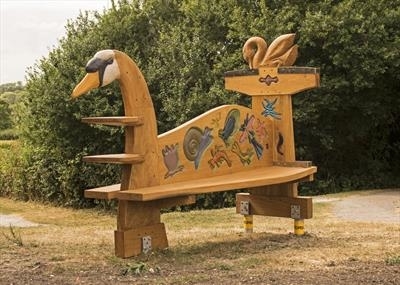 Commissioned by The Canal & River Trust, this was designed for children to use during pond-dipping visits to the canal. I am well practised at combining a playful, sculptural practice with a practical approach to creating functional furniture. The Pond Dipping Bench gave me the opportunity make interesting relief carvings of the micro life of rivers and canals while challenging my woodworking skills to make a robust, enduring piece for this site by the Upper Arm of the canal at Foxton Locks, Leicestershire.